In this project we intend to develop new computer-based methods for predicting and understanding the characteristics of aqueous brines and complex mixtures of brines with organic compounds. To facilitate this, a number of fundamental phenomena need to be understood by use of large-scale supercomputer simulations such as thermodynamics of ion solvation in brines; physico-chemical properties of brines at high temperature and pressure; the role of ions and counter-ions such as naturally occurring in sea water and ion effects on structural and thermodynamic properties of organic (bio)molecules. 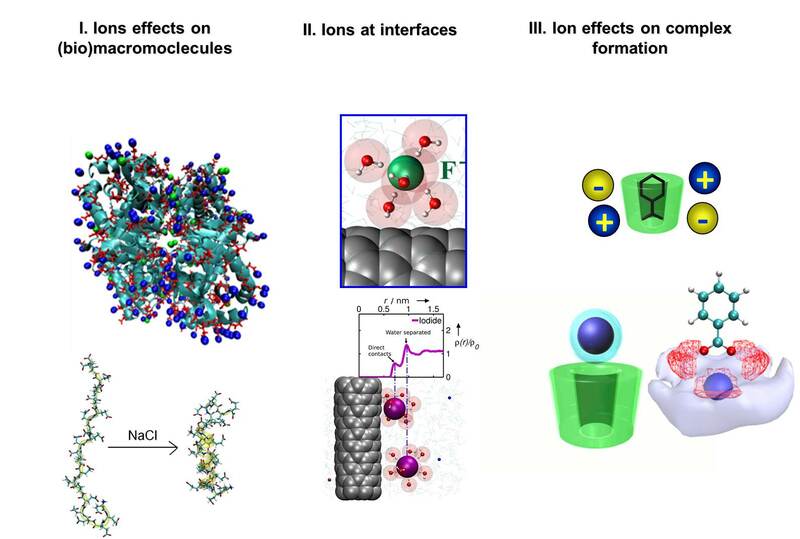 Due to the large significance of ion effects in many important physical-chemical phenomena [1, 2, 3], the results of the project are expected to have a wide range of applications: from pharmaceutics and molecular biophysics to oil&gas industry. For more information about the project contact Prof. Maxim Fedorov (maxim.fedorov [at] strath [dot] ac [dot] uk), Professor at the Department of Physics at the University of Strathclyde or Dr David Palmer (david.palmer [at] strath [dot] ac [dot] uk) Lecturer at the Department of Pure and Applied Chemistry at the University of Stratclyde or Mr Sean O’Connor (sean.o-connor.2013 [at] uni [dot] strath [dot] ac [dot] uk), PhD student at the Department of Physics at the University of Stratclyde.